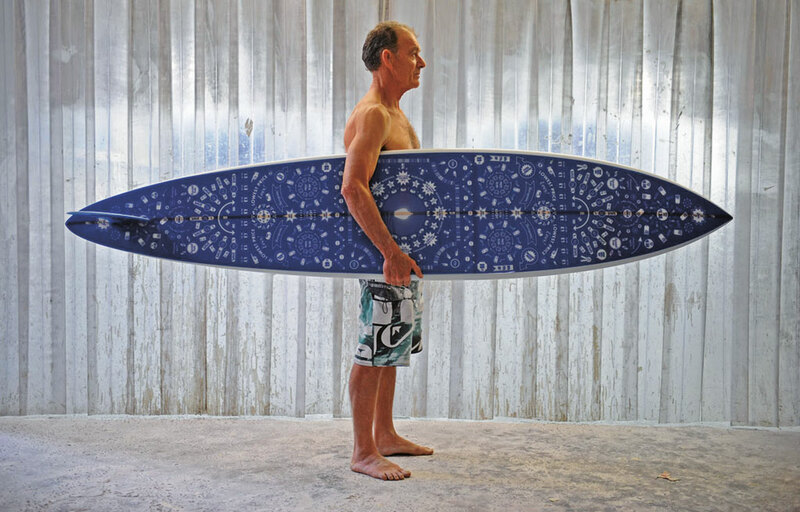 When Gavin Rooke of craft initiative Dutchmann met master surfboard shaper Spider Murphy, it spurred an idea for art in a new form. 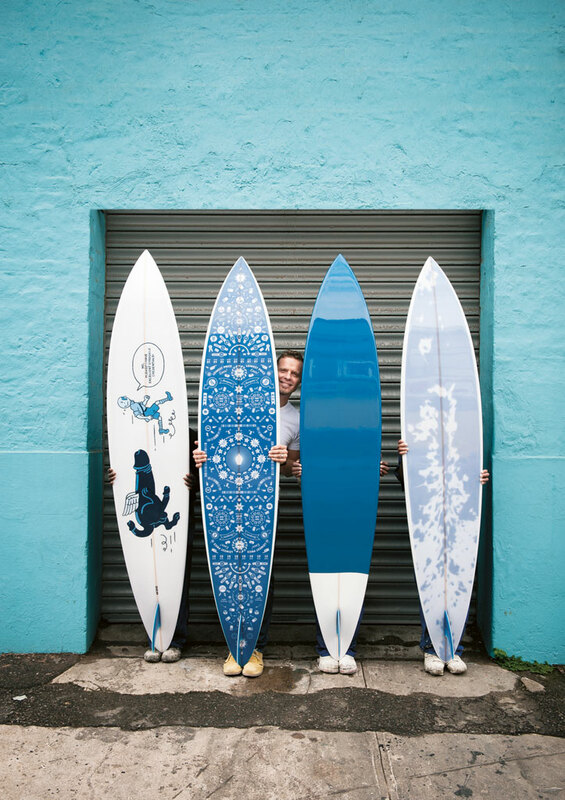 The result is the Delft series of surfboards, hand-shaped by Spider and embellished by South African artists and designers. 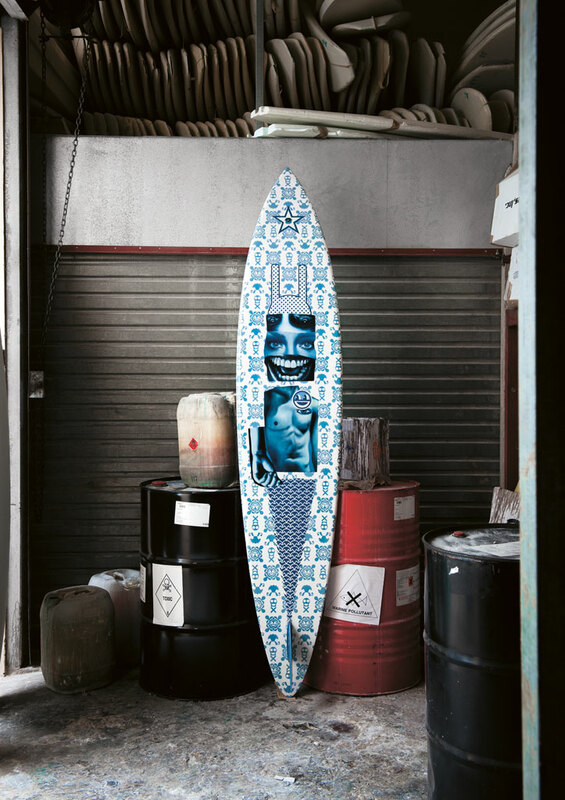 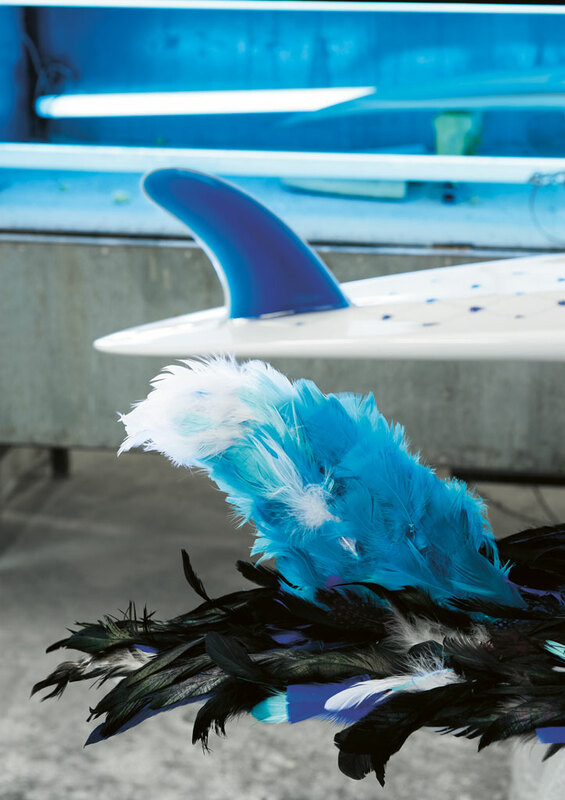 As an icon, the surfboard forms part of, and shapes, cultural discourse, says Asha. 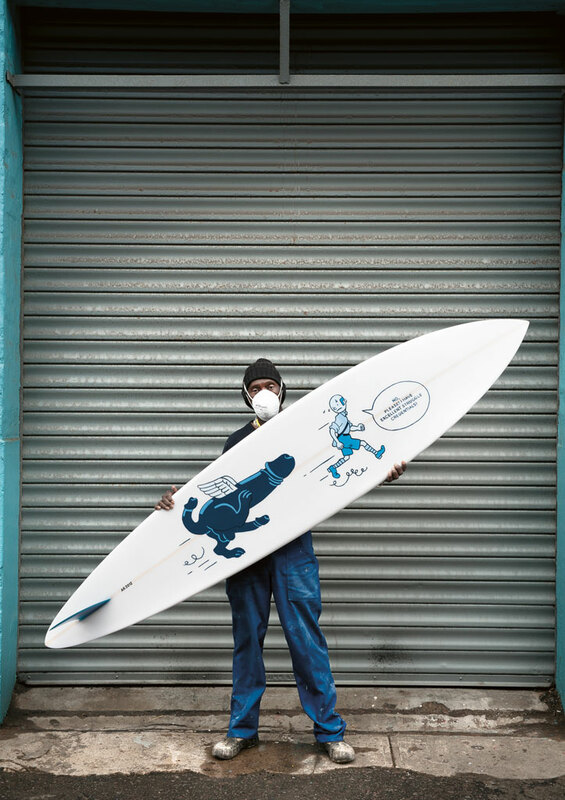 He’s used eclectic icons, narratives and illustration styles to create a cross-cultural pastiche, and “set the stage for the surfboard to become an instrument in the development of a mythopoeic narrative”. 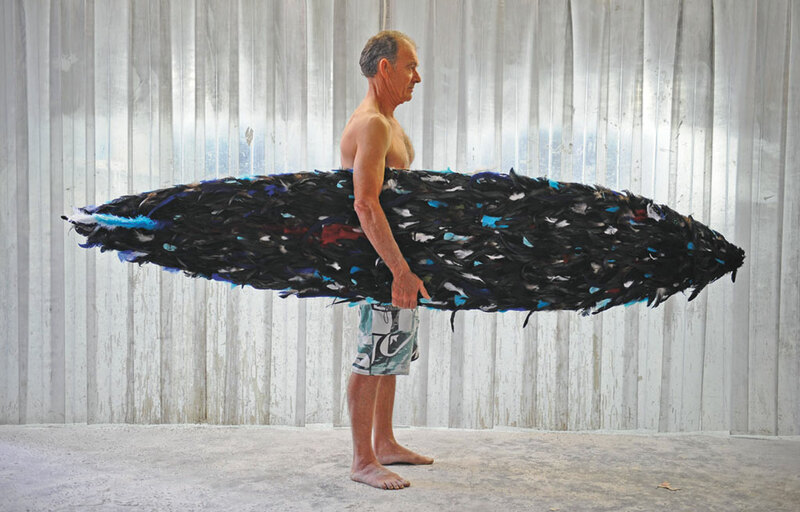 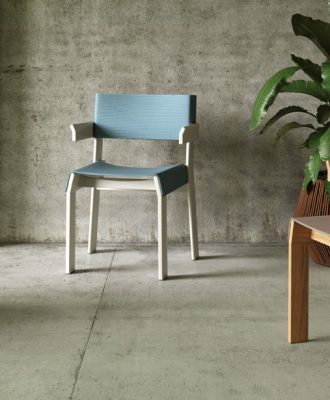 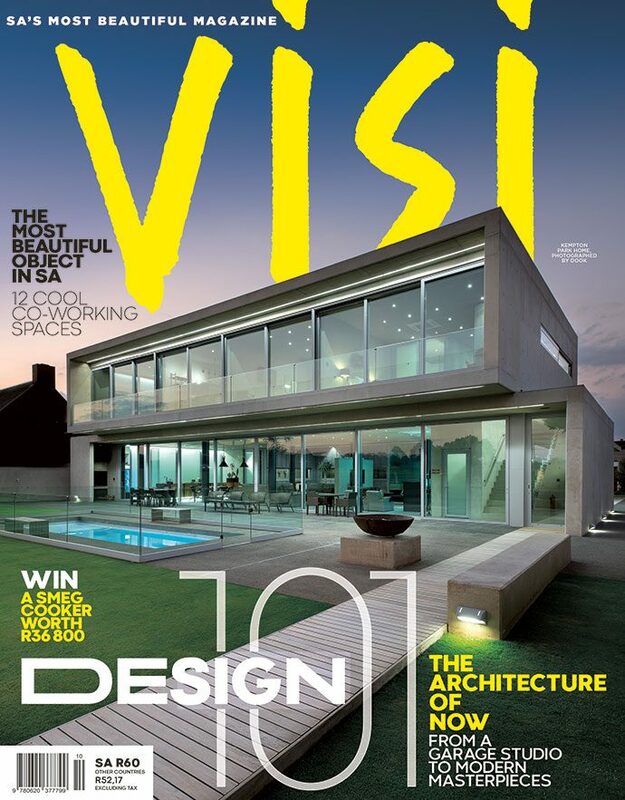 The co-founder of Durban-based design studio, Disturbance, Richard describes himself as a “type nut”. 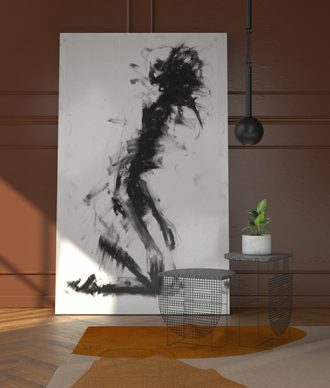 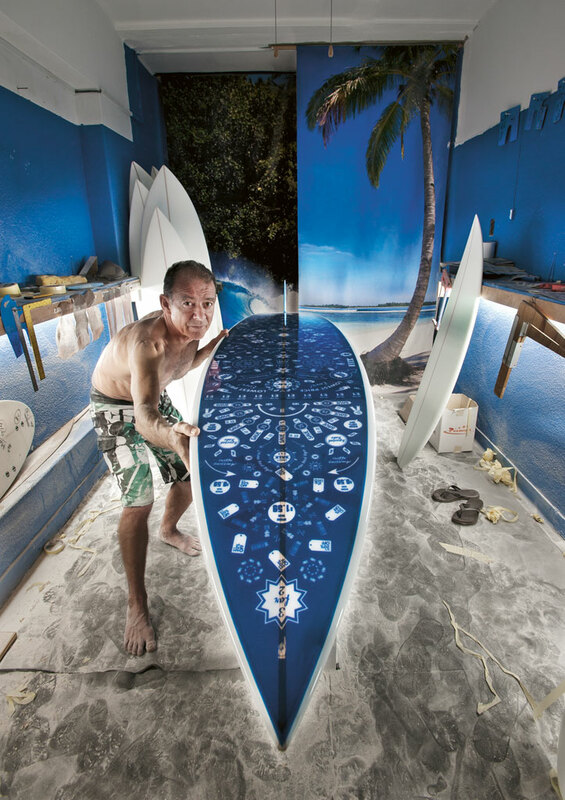 He painted directly onto the surfboard while listening to a random selection of musical tracks. 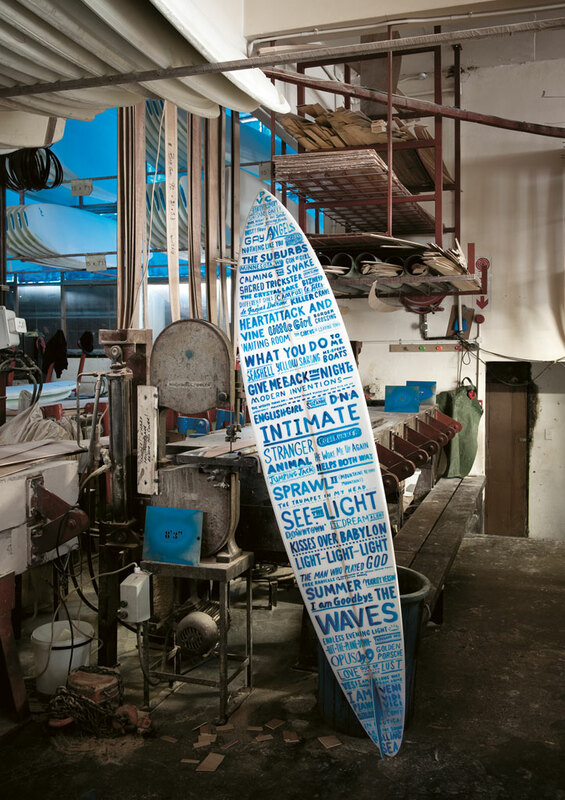 The board is a record of this playlist, with the title of each song painted in the order it was played, in exactly the same amount of time it took for the track to play from beginning to end. 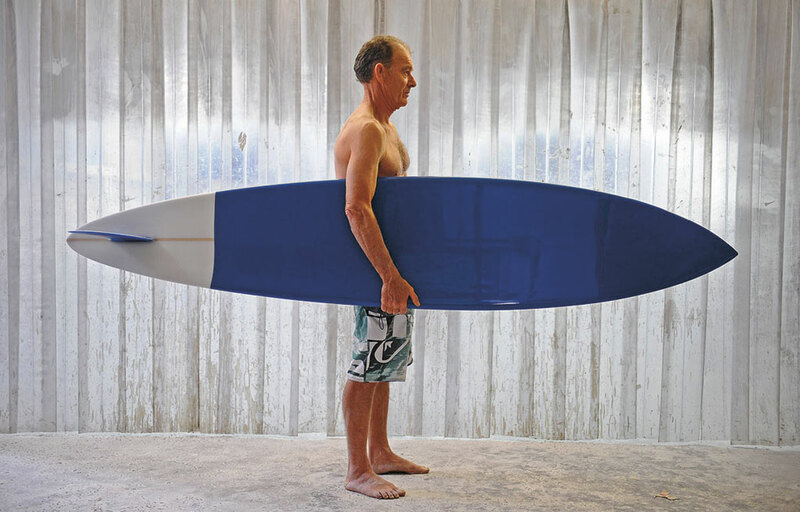 A master craftsman with more than 45 years of shaping experience, Spider (now 65) has worked with some of the greatest surfing legends to develop innovative boards that have redefined the limits of surfing. 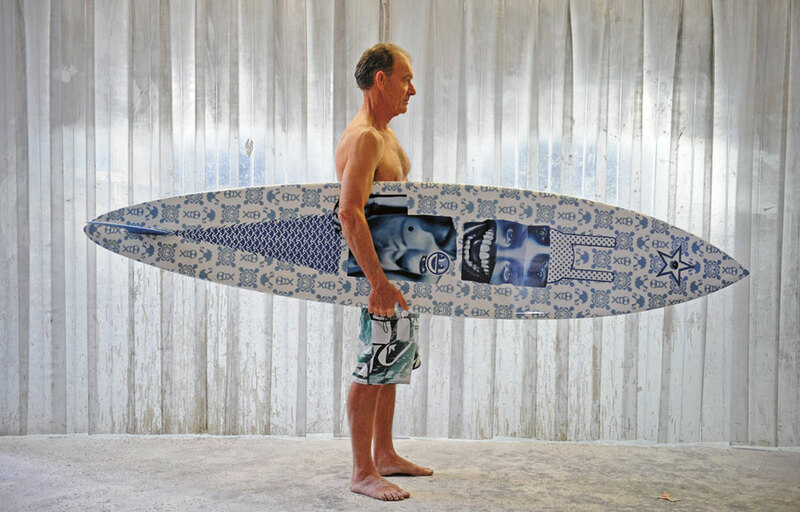 The Delft boards are a replica of his Pipeline Gun, on which Shaun Tomson won the 1975 Hawaii Masters. 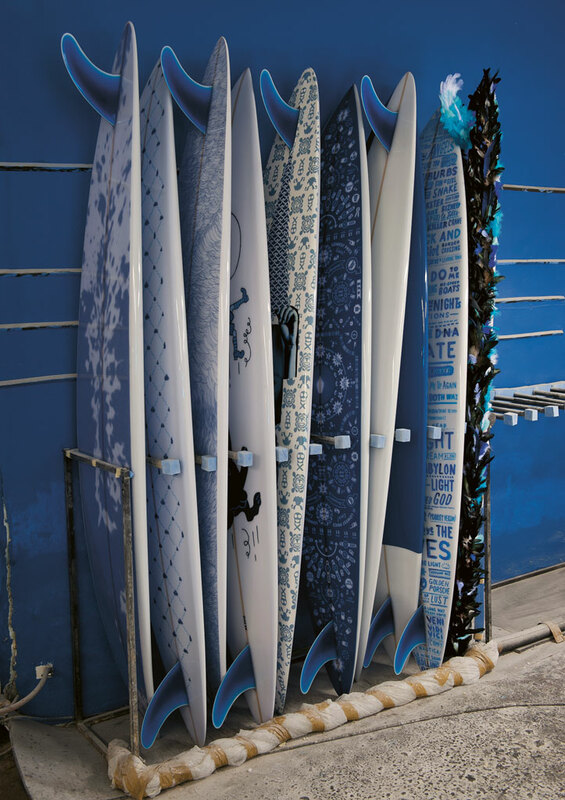 They’ve all been hand-shaped and finished by Spider, who still shapes every day in his Durban workshop – in his board shorts.